This is what I ended up with. Red and shiny, with a Ferrari logo, but not the same. I’ve been trying to think of a way that would accurately describe my German work experience. Friends and family have been asking me for a year and a half how it’s been, why I’ve faced so many challenges and a lot of my German colleagues are just scratching their heads at the fact that I’m leaving. I’m the type of person that while something is going on, I’m not very expressive to those close to me how bad a situation is. It was the same case when I was married. It was bad, those really close to me had an inkling that it was a little bit bad, but no one really knew how bad it was til it was over. Though I’m a realist on the surface, I think deep down I’m an optimist, and if I’m a realist WHILE something is happening, I fear things will get worse. Anyhow, now that my German work experience is almost behind me, I’m ready to start processing it and describing it better. And, I believe I have captured my experience perfectly with an analogy. Basically, what it comes down to is this: I was sold a Ferrari and ended up with a Fiat. You see, two years ago, I received a special invitation to step into the Ferrari showroom. I was ecstatic. I mean, here I was a loyal Volvo driver for the past 7 years and I was “special” enough to be invited to come into the Ferrari showroom. The Ferrari sales team gave me a big presentation about how great their cars are, the history of the company and how they were about to make a new line of cars. The line of cars wasn’t yet available in North America, so I had no way of knowing how they’d be. But on a bit of blind faith, name recognition and the urge to drive something new, I agreed on a contract to buy a Ferrari. Because Ferraris are expensive, the contract has a lot of clauses. But I was blinded by the red shiny sports car and the pure potential it had that I couldn’t imagine wanting to trade in my Ferrari anytime soon. 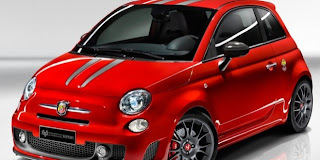 Once the ink was dry on the contract, and I picked up the keys, I realized I was given a Fiat. To be fair, a Fiat is a cute little car. But just because you paint it shiny red, put a Ferrari logo on it and put (3) racing stripes down the side, it’s still a Fiat. As soon as I started driving my new car, I realized there were issues. But what do you do? You just signed a contract! So, I hoped that since the car I was driving was red and shiny and had racing stripes that it would live up to the fact that it had a Ferrari sticker on it and it just had a few small kinks that would get worked out on the autobahn. Well, months went by and my Fiat kept needing to go to the shop for repairs. It turns out that even though it’s red and shiny, the engine is still a Fiat. And it’s no coincidence that some say that Fiat stands for “fix it again, Tony”. Over the next year, I was constantly going back to the salesperson and telling them “my Fiat keeps breaking, it’s always in the shop” “You told me that my Fiat would go 300 km/h on the autobahn and I can’t get it past 120 without feeling like the whole thing is going to come apart” and “But I signed a contract for a Ferrari”. My complaints fell on deaf ears. Though I loved my nice reliable Volvo that I’d been driving for 7 years, I didn’t miss it. It was a solidly built car, but it wasn’t fun to drive anymore. But I knew that the Ferrari I agreed to buy, was a Fiat in Ferrari clothing. What to do??? 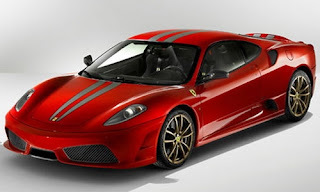 Well, after 15 months of trying to pretend my Fiat is a Ferrari, I’m accepting that my Fiat will never go as fast as promised and will never be the Ferrari it promised to be. So I’ve gone back to the sales team and told them that I’m ready for a trade in. The sales team doesn’t want to lose a sale and admit false advertising, so I have my work cut out for me. But it’s safe to say, I’ve made my decision to hand in my Fiat, it was pretty, but it just didn’t work like it was supposed to. I’ve agreed to purchase a new car and this time, I kicked the tires a little harder and looked under the hood, so I’m hoping that the new car is a little more reliable. But that’s the thing with cars, you never do know, do you?